Delaware North is more than just the Bruins, and Splyce will use all assets of the business. There’s an easy way to tell when a Boston sports team is playing in town: What colors are washed over the MBTA train system? On Wednesday, on my way to meet Splyce CEO Marty Strenczewilk at TD Garden, the Red Line is dotted with green and white. Switching to the Green Line at Park Street and the forest of color is more apparent. At each stop before hitting North Station—which is, essentially, the entrance to TD Garden—it becomes continuously obvious: The Celtics are playing. 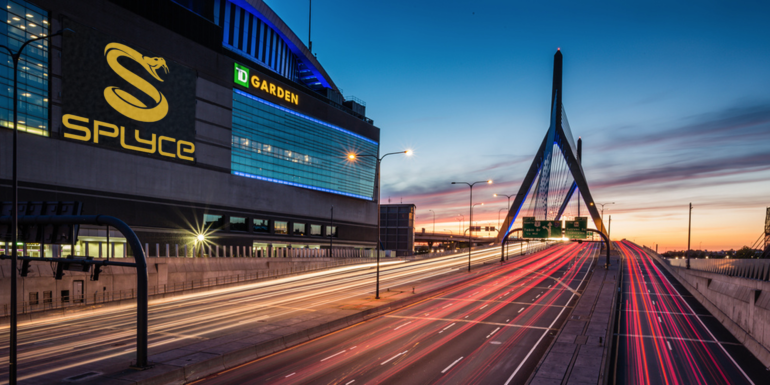 As it turns out, the Celtics, the team that Renegades owner Jonas Jerebko plays for, are taking on the Philadelphia 76ers, which acquired Team Dignitas last year, in the TD Garden, owned by Delaware North, which is newly invested in Splyce. Splyce and Delaware North announced their partnership on Feb. 9, just less than a week before Strenczewilk and I met. And as with anything in esports, things are moving fast, but Strenczewilk doesn’t expect it to stay that way. The Bruins aren’t going to push esports on its fans, and Splyce isn’t about to start pushing hockey onto its audience. The involvement between brands—and I mean all of Delaware North’s brands, which span from hotels to parks—isn’t going to be forced; instead, they’re willing to play the long game to encourage organic growth. We’re not going to see the T filled with Splyce fans donning yellow and black next week. But in a few years? Strenczewilk thinks so. Merry, however, is a Dota 2 guy, though he’s hesitant to admit it since Splyce doesn’t field a Dota 2 team (according to him, they never will, but he’ll never stop advocating for it). For now, Merry and Strenczewilk are busy with the 10 teams Splyce already supports—League of Legends, Counter-Strike: Global Offensive, Call of Duty, Gears of War, StarCraft 2, Overwatch, Halo, Super Smash Bros., and World of Warcraft. Not all of Splyce’s teams will find their homes in Boston, but some will. That likely includes Overwatch, considering Blizzard’s push toward geographically connected teams for its upcoming Overwatch League. Of course, Blizzard hasn’t released much information publicly on the Overwatch League, but it’s safe to say that bidding for locations and teams connected to those locations will start soon: After all, it’s supposed to begin this year. Overwatch is just the first game to latch onto the location-based team structure, but more games are expected to move in that direction. There has to be an ecosystem to support a league consisting of location-based teams, however. Splyce is looking to integrate its teams into Boston early, before league structures come to fruition. One of its first moves will be bringing its newly acquired Overwatch team to Massachusetts for a bootcamp in the coming weeks. They’ll stay at Delaware North’s Sea Crest Beach Hotel in Falmouth, MA, right on Cape Cod. And it’s not some lobster shack with few beds in the back. Sea Crest Beach Hotel is a luxury resort with multiple pools, restaurants, and in-room fireplaces. Splyce’s Overwatch boys will be living good. And it’s not like Splyce is just feeding off Delaware North resources. It’s winter. Vacationers don’t go to the Cape in the winter. This is a way to bring folks out there, maybe. Not necessarily this visit, but in the future—when the organization grows. Delaware North is invested in TD Garden and hotels, casinos, parks, and restaurants. Proclivity to invest in all these different aspects of business sets Delaware North out against other sports franchises involved in esports. They’re got an incredible wealth of resources to offer—and Splyce wants to be involved in all of them. Even if five fans come out to these events (which, at the time of writing, have not been ironed out yet) Strenczewilk will be happy. That’s five more Splyce fans than the team had before. “It’s about planting a seed so that when we do bring an event here, however many months down the road, there’s already 5,000 people who can’t wait for it,” Strenczewilk said. Even that sort of hate is part of Splyce’s growing story to embed esports in a sports-centric city.